The other day we started thinking about our thoughts on New Fantasyland...like actually starting thinking about it. The largest expansion in Magic Kingdom history shouldn't really be taken lightly. We had given our thoughts on the outcome before, but those were kind of knee jerk reactions, especially when expressed via Disney Hipster Podcast. (no, that show has never been known for holding back...) We thought that this expansion deserved a little more review, so here we are. We started by looking at the attractions of New Fantasyland, and today we're moving on to something a little more straightforward. Food. No. 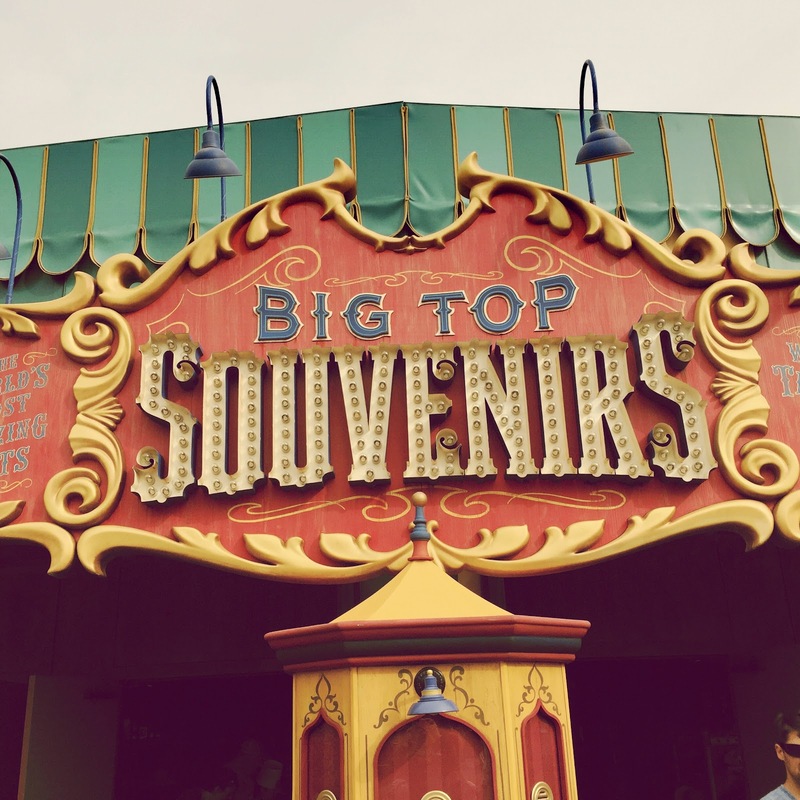 Big Top Souvenirs is not a restaurant by any stretch of the imagination...but it certainly does provide food. 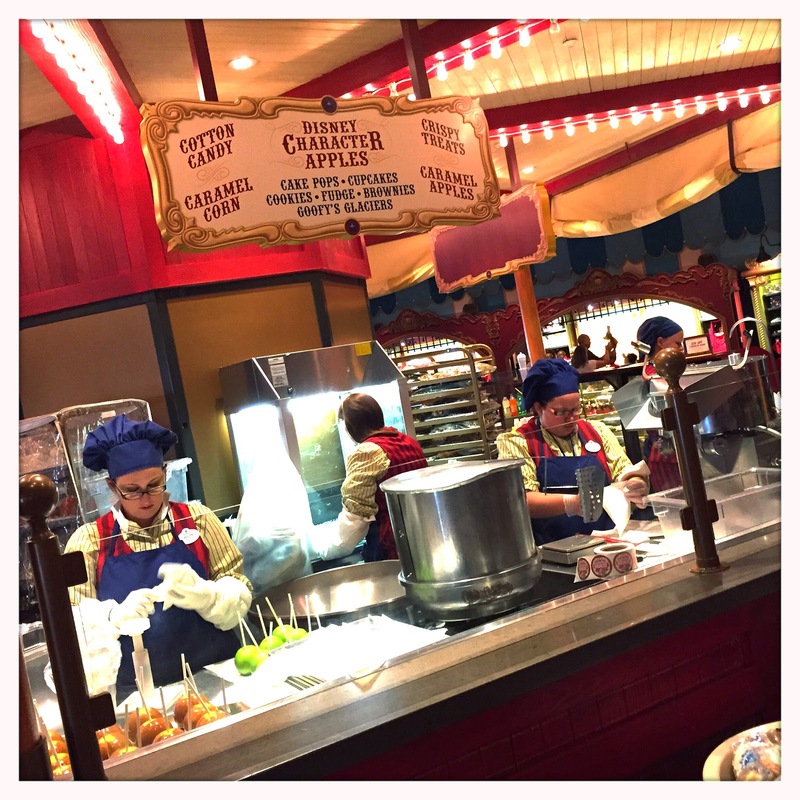 Though mostly a large shop (in a repurposed building) Big Top Souvenirs has a confectionary show kitchen directly in the middle of the action. Here you will find an uninspiring melange of sweets, the likes of which can be found throughout Walt Disney World. However, the charming atmosphere of this shop more than make up for the lackluster offerings. Around the bend in "Fantasyland Forrest" there are some more ornate, albeit meh offerings. Starting with the creme de la creme of blasé food, Be Our Guest. This is New Fantasyland's sole table service restaurant. (though, during the day serves as a counter service...) Be Our Guest suffers the same way that Enchanted Tales With Belle does, in the fact that the exterior is gorgeous but everything else fails miserably. Though the facade is intricately detailed with stonework, landscaping, and architecture the interior is incredibly flat. The main dining room feels more like a middle school cafeteria than a castle. Food wise Be Our Guest is absolutely boring. This is Walt Disney World trying to step up their theme park food game...and the food is fine. But fine doesn't ever make the superlatives in a vacation. Just around the corner is Gaston's Tavern. I actually give this counter service restaurant more love than Be Our Guest. Gaston's not only looks phenomenal but also doesn't tout itself as something it isn't. Its not trying to be fancy. Just a small "tavern" with a few select items. Sure, the big ticket here is a pork shank, of which we have no interest as vegetarians...but we have heard from our meat eating friends that its pretty tasty. You can also find gigantic cinnamon buns here, as well as Lafou's brew...New Fantasyland's answer to Butterbeer. (yeah, don't pretend that its not.) It would be really easy to complain about the small menu, but when everything is done right I have to hold my tongue. Gaston's Tavern, you're adorable. There are a few more places to grab a quick snack in New Fantasyland as well, including a few very well themed popcorn carts. Most notable among these smaller offerings is Prince Eric's Village Market. You know the situation here. Fruit, hummus with vegetables, pickles and beverages. Every park at Disney World has at least one of these outdoor markets, our favorite being in Harambe at Animal Kingdom. Prince Eric's is...like the rest of this list, very pretty as far as theming goes, and blends very well into the Little Mermaid "mini land." I just wish there was something special on the menu here that could at least have a shot a developing cult status. Those are my thoughts on the food offerings/eateries in New Fantasyland. I know I sound like a big downer, but these restaurants aren't really that special as far as food goes. Gorgeous to look at, yes...food? Meh. Join me next week as we continue our final thoughts on New Fantasyland.